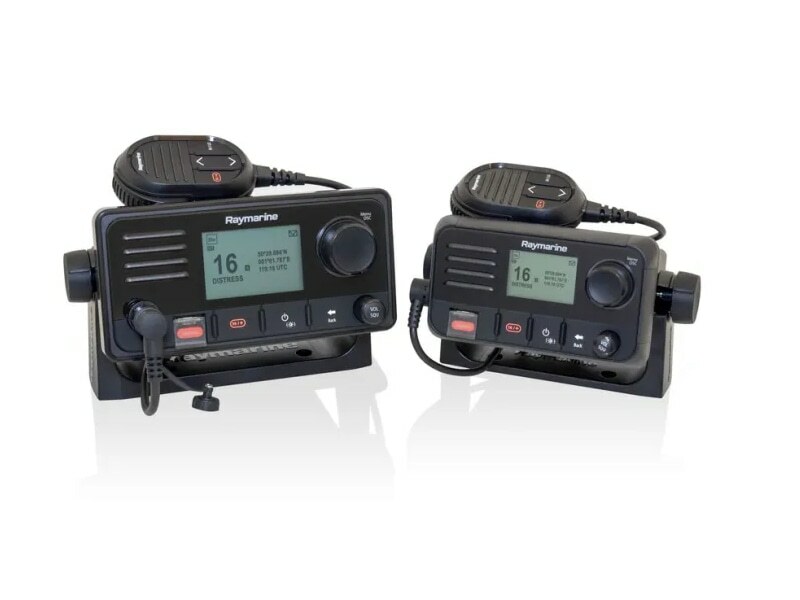 The Ray63 and Ray73 can connect to Raymarine’s new wireless VHF hub and can support up to two wireless handset stations for wireless communication anywhere on board. The Ray73 has GPS, AIS and loudhailer output. It provides collision avoidance and identification details for nearby AIS-equipped vessels to a networked multifunction display, chartplotter, radar and instruments. If equipped with an optional hailing horn, the Ray73 lets users communicate with crewmembers on deck and people on other vessels or on the dock. The radio can also generate manual or automatic fog signals when moored or underway. The Ray63 has Class D Digital Selective Calling and built-in gps. It’s built on a full-size chassis and has oversized controls and a large LCD. It also supports multi-station expansion and intercom capability via a single wired RayMic controller or twin wireless units. The compact Ray53 has GPS and DSC and supports NMEA2000 and NMEA0183 networking so it can connect with other equipment. It also supports the connection of an optional remote speaker for audio at a second location. The Ray53 and Ray63 are multifunction VHF radios with AIS and Class D Digital Selective Calling.